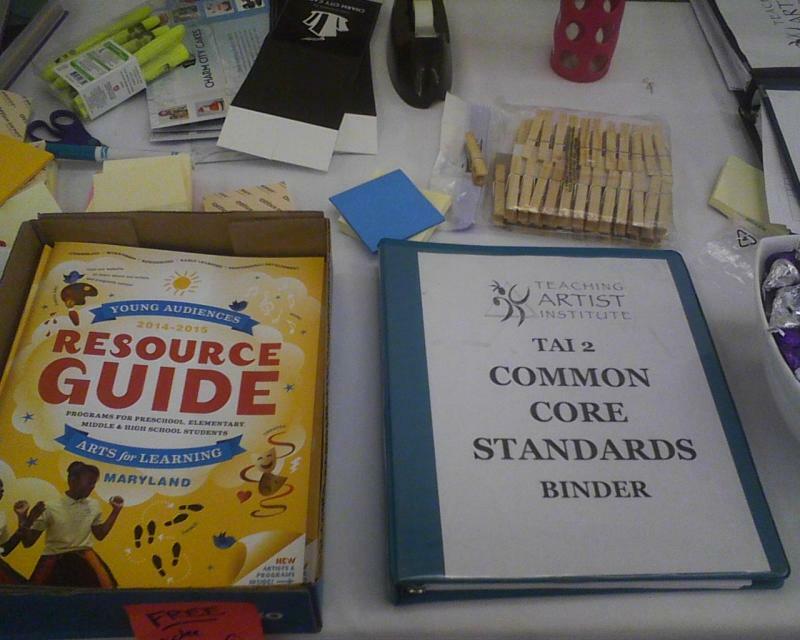 Teachers and professional artists used these resources last week in workshops that showed them how to mesh new national arts standards with the Common Core. 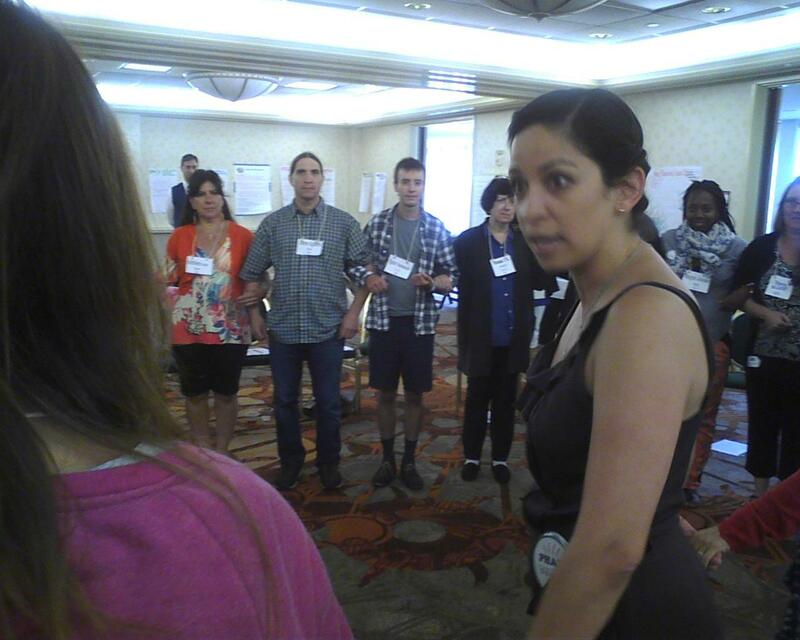 Teaching Artist Institute master arts instructor Vanessa Lopez (right) works with professional artists and educators in a workshop on tying the new arts standards and Common Core standards together in the classroom. 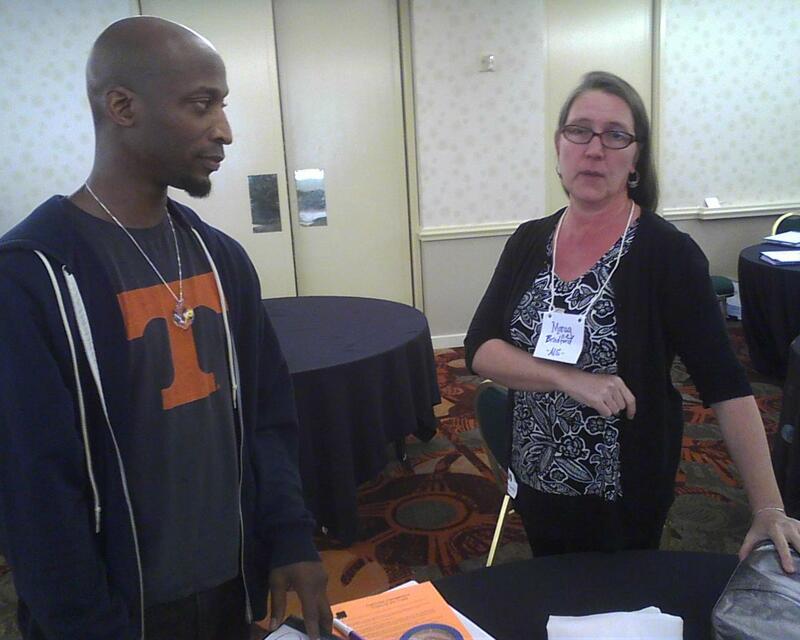 Pianist/composer Kevin Gift (left) and Baltimore city visual arts teacher Morag Bradford discuss ways to blend new arts standards with the Common Core. 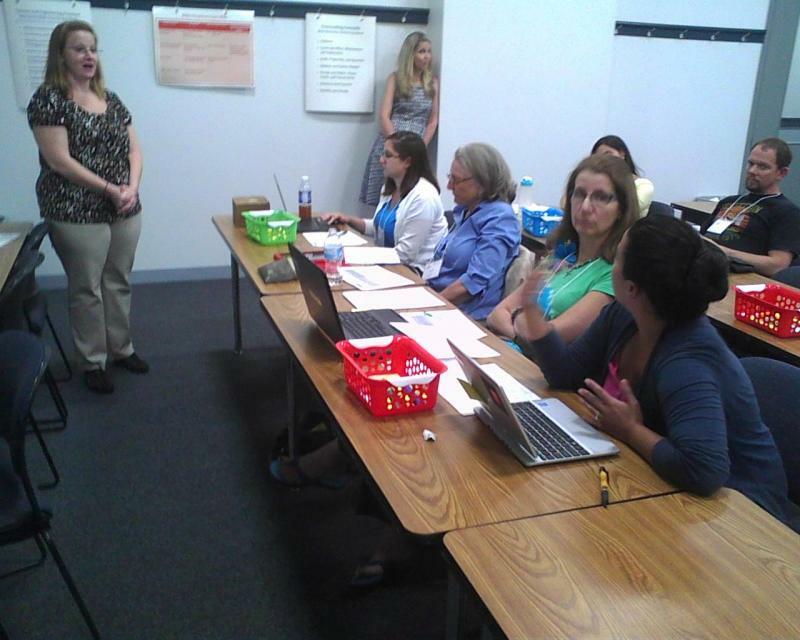 This school year, teachers are delving deeper into the Common Core standards and some are learning to blend them with revised national arts standards unveiled this summer. Last week, twenty teachers from around the state paired up with professional artists in workshops held in Baltimore in efforts to develop lesson plans that tie the Common Core and new national arts standards together. 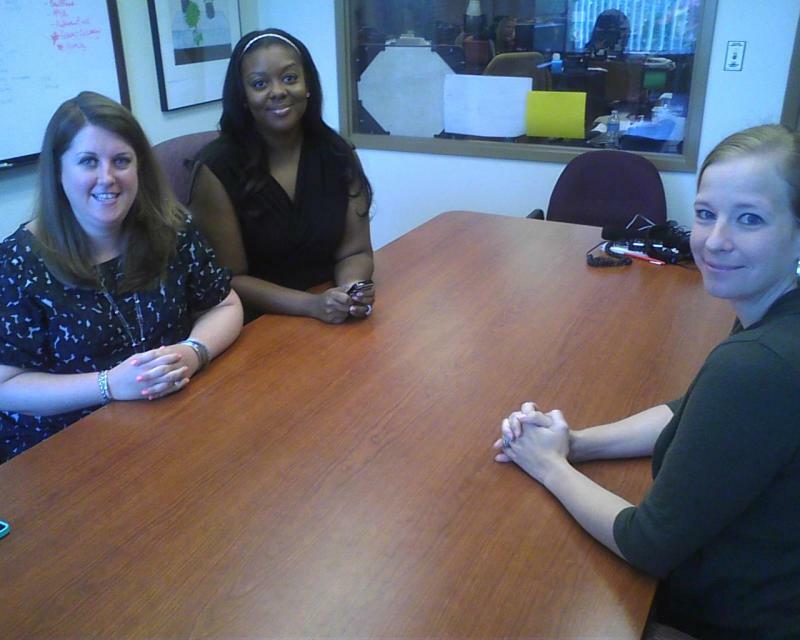 More than forty artists applied to participate in the TAI program. The twenty artists selected previously attended sessions on the rigorous Common Core standards, which calls for students to write more, explain and defend their answers and present evidence for their work. Although vocalist and percussionist Steve Cyphers admits he's still figuring out both standards, he has a project in mind that he wants to develop with his assigned teacher. “I'm working on a piece for a kindergarten class, of telling a story and using percussion instruments to express and define and identify characters and actions in a story,” he said. Those are elements required in both the common core and arts standards. Dombrauskas said she felt overwhelmed with the Common Core standards last year, but now thinks the arts integration will make it easier for her to adjust to the new curriculum. “This is a marriage for me that is going to work and I feel comfortable jumping in with both feet. A text is not just a book anymore. A text can be a picture, a photo or a football field, a dance,” she said. Over the next few weeks, the artists who attended the workshops will observe their partners' classes and meet regularly to collaborate in finalizing their projects. The week-long lessons go live in classrooms mid-December.